It is estimated that two to three percent of people in the United States are born with Amblyopia. This is term used to describe the disorder when one or both eyes are not fully controlled by the brain. 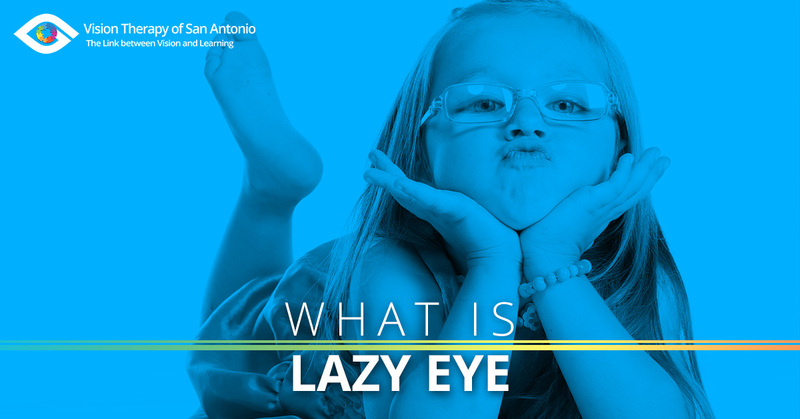 Another term commonly used to refer to Amblyopia is called, lazy eye. When one has lazy eye, this means that one or both eyes fail to see with visual acuity of 20/20. Often with amblyopia, patients cannot control the alignment of their eyes; this makes it extremely difficult to visually understand words, signs, and images. Amblyopia is not contagious. In no way can you contract it as an adult. Lazy eye is almost always developed while in utero, or prior to birth. It is often difficult to tell if a newborn has amblyopia because their eyes are too immature and they are often too small and sensitive to test. However, the older the child, the more accurate test results will be. A popular test for toddlers and children is to cover one of their eyes. By covering one of their eyes their vision is distorted, which will often confuse and upset them. Though making your child upset is not the best way to check for lazy eye, it is the fastest way to tell if something is developmentally wrong with their vision. Placing a sticker or a patch over their affected eye or eyes is one way to check for lazy eye, but is not meant to be a substitute for a professional eye exam. If your child does not stir when you are covering either of their eyes, they may still have other visual problems. Certain eyesight issues cannot be detected until children are much older, such as a disconnection between the eyes and the brain. Generally, this visual issue becomes prominent when your child begins to try to read. The best way to ensure your children are seeing properly is to take them to an optometrist. There, physicians can conduct proper tests to ensure that all connections between the eyes and brain are strong. Places such as the Center for Vision Enhancement in San Antonio, are great for treating any eye issues. Here, we specialize in pediatric vision and have developed multiple practices for lazy eye treatment. It is very important to take your child to a vision center if they have any vision issues. If vision problems, such as lazy eye are not treated, the result could lead to permanent blindness in your child. While children are young, eye-brain issues are easier to treat. Developmentally, the eyes and brain are easier to train when a patient is younger. However, when they are older, the effects are usually permanent and are nearly impossible to correct. If your child currently has eyesight issues or was born with amblyopia, it is important to correct the problem as soon as possible. If you live in the San Antonio area, it is a good idea to contact the Center for Vision Enhancement. We provide the best care and staff the most experienced optometrists and ophthalmologists. We understand pediatric eye care like no other and will provide only the best service for you and your child. Visit us online today!